"The time has come to bring together countries to fight against the enemies of Israel.... Israel never needs to fear that they are only seven or eight million people standing against 150 million Arabs. They have 1.2 billion Indians backing them." — Subramanian Swamy, Indian parliamentarian. Historically, relations between India and Israel, with a few exceptions, have been warm. In January 1992, then Indian Prime Minister P. V, Narsimha Rao established full diplomatic ties with the Jewish state. Since then, economic, technological, military and diplomatic relations between New Delhi and Jerusalem have moved from strength to strength. During the last few years Jerusalem has sold to New Delhi advanced military equipment. Prime Minister Narendra Modi's recent visit (July 4-6) to Israel was the first by a prime minister of India to the Jewish state. After the meeting between Modi and his Israeli counterpart, Benjamin Netanyahu, India and Israel signed seven agreements in the fields of water, agriculture, and space, including a $40 million joint fund for research and development in innovation. Netanyahu and Modi also upgraded the current bilateral relationship to a "strategic partnership," and agreed that "strong measures must be taken against terrorists, terror organisations, their networks and all those who encourage, support and finance terrorism, or provide sanctuary to terrorists and terror groups." 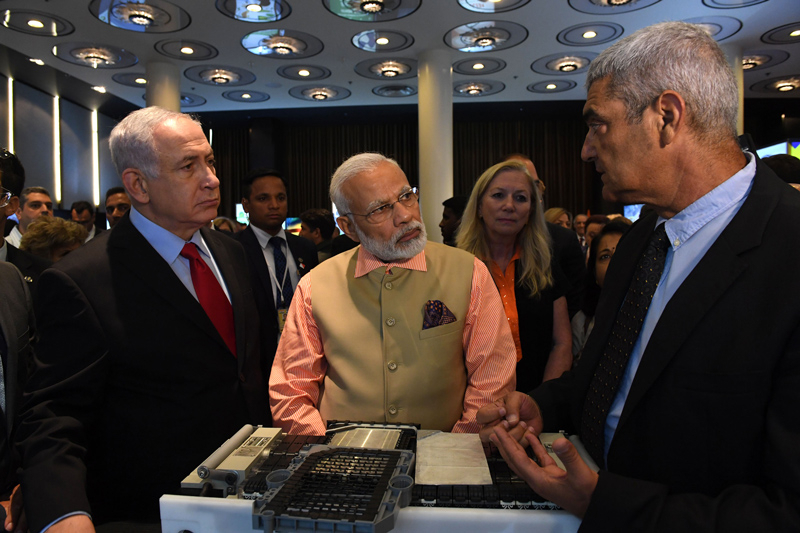 Netanyahu said the India-Israel relationship today could be described as "I-square T-square"—that is "Indian Talent and Israeli Technology." Modi held a meeting with CEOs of various companies, leading to the signing of agreements worth about $4.3 billion between the participating companies. The forum intends to take current bilateral trade of about $4-5 billion to $20 billion in five years. High-tech Israeli companies produce robotic waterless cleaners for solar panels and portable desalination units, which could help India solve its water and energy crises. Indian and Israeli companies entered into agreements to bid jointly for defence contracts for the Indian military and locally build the systems under "Made in India." India and Israel also agreed to increase their air linkages, with Air India expected to commence flights to Tel Aviv. 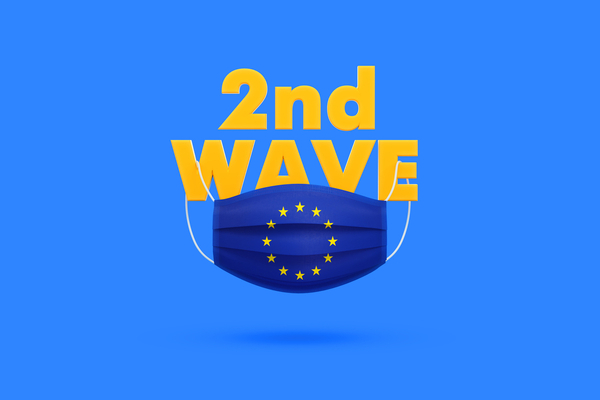 Both nations face several common threats, including radical Islamist terrorism. Both nations have faced major conventional wars with their neighbours and continue to experience low‐intensity conflict. And both are confronted with weapons of mass destruction in the hands of their rivals -- real and potential. Israel has been a time-tested ally of India in combating all kinds of threats to its security. New Delhi, too, must be sensitive to Jerusalem's security. The Jewish state's existence has been under threat from radical Islamist forces in the region. Threats by Iran, with the its growing nuclear potential, to annihilate the Jewish state cannot be overlooked. "The time has come to bring together countries to fight against the enemies of Israel....Israel never needs to fear that they are only seven or eight million people standing against 150 million Arabs. They have 1.2 billion Indians backing them." New Delhi should have a military pact that would treat any attack on either by a third nation or group as an attack on both. New Delhi also must move its embassy to Jerusalem from Tel Aviv. All embassies are located in a given state's capital. Jerusalem is Israel's capital. One wonders why Prime Minister Modi said in a recent media interview: "We will take a decision on that [embassy location] after both sides [Israel and the Palestinians] have come to an agreement on Jerusalem." India should have its embassy in West Jerusalem, which is not "occupied territory." Modi's position on Jerusalem is already close to the realities on the ground today. He is for "the realization of a sovereign, independent, united and viable Palestine, co-existing peacefully with Israel." Modi makes no reference to East Jerusalem as the capital of a future Palestine state. During Palestinian Authority President Mahmoud Abbas's visit to India in May, New Delhi, while expressing its support for a Palestinian State, dropped any reference to Jerusalem. Modi seems to be aware that Israel's religious, historical, and archaeological claims to the eastern part of Jerusalem also deserve due attention. Ties between New Delhi and Jerusalem can be said to have attained new heights, and look set to go even higher. New Delhi also signed a contract for the purchase of two additional Phalcon/IL‐76 AWACS valued at $1 billion during the visit of Israel's President Reuven Rivlin to India in November 2016. In April 2017, India signed a contract worth about $2 billion to procure anti‐tank missiles and air defense systems from Israel Aerospace Industries (IAI). In May 2017, IAI secured another contract for $630 million to supply Barak‐8 missiles to the Indian Navy. Both deals involve technology transfer and production in India. Every so often a spate of articles appears about the blossoming of a wonderful relationship between India and Israel -- natural allies -- even natural brothers. BALONEY! It's a business deal from India's standpoint and if Israel disappeared, they would find another partner. Time after time we have watched and waited for India to even so much a object to Israel being referred to as the greatest cancer on the earth by India's other buddies -- Iran in particular. It never happens. Israel is johnny on the spot when India suffers from an earthquake or other natural disaster, bringing in its entire military medical team to aid and care for Indian men, women and most of all children. When did Israel ever see such care and concern expressed by Indians and in particular -- the Indian government? The answer is NEVER. I watched a video of Subramanian Swamy's speech -- sounded lovely but the likelihood of India sending in troops to help Israel ward off an invasion from its enemies is less than zero. Indians in the UN troops sent in to "impartially" prevent terror attacks against Israel actually helped the terrorists. It has been my observation that India and its people see themselves as needy and underprivileged and therefore entitled to do whatever it takes to get ahead -- taking as much as they can and but rarely if ever giving back. Israel has given much to India -- in its war efforts against Pakistan and it's life-saving medical assistance and agricultural expertise. But India still cannot bring itself to unequivocally support Israel's very right to exist unthreatened by murderous nations such as Iran, Gaza and a host of other -- mostly Muslim nations. What's THEIR track record on improving the lives of India and its people? Ironically, we all know about the good relations between Hindus and Muslims in India. Israel and its people would be fools to think India is anything more than a customer or business partner and they have had countless examples of India not coming to its aid when it really counts even though there have been plenty of opportunities. India is a "friend" when it can be financially or militarily beneficial to them. Oh and by the way, the fact that some journalists in India didn't know what the word "anti-Semitism" meant does NOT mean it never existed in India. WONDERFUL! With our increasing and strengthened ties with the world's 2 largest countries in population (PRC & India), and their increasing understanding of our security issues (due to Islamist terror against them as well), we will have strength from the East to counter the increasing weakness in the West. It is my sincere hope that President Trump will stop and reverse the increasing American weakness pushed by Obama and his ilk from 2008-20016, but it seems like Western Europe is bound and determined to commit suicide and let the Islamist thugs just walk in and take over. Now, on a more 'serious' note - when can we expect to see more Indian restaurants, kosher and non-kosher, opening up? There is one such in Herzliya Marina, and a kosher one at the Crown Plaza Jerusalem. We need more delicious Indian food in Israel! I wouldn't call it "cringing". I would call it laughing hysterically. India's other buddy is Iran and at the Conference of Unaligned Nations which India attended in Tehran, when their Iranian hosts referred to Israel as the greatest cancer on the face of the earth, the response from India was a nod of approval. If India's 1.2 billion people were behind Israel, maybe they should tell Iran that it is not a good idea to wipe Israel off the map cause they might have 1.2 billion Indians to answer to. They don't. Having Iran's friendship means a lot more than Israel's does -- believe me. Amazing! An Indian journalist and Modi do not see the parallel between Pakistan and a "Palestine?" East Jerusalem (Yeroushalaiim was LIBERATED when Jordan attacked and lost it's land grab. Jews had been cleansed out and retuned to their ancestral land. It is part of the capital even if the invented nation "Palestinians" was invented to claim it.